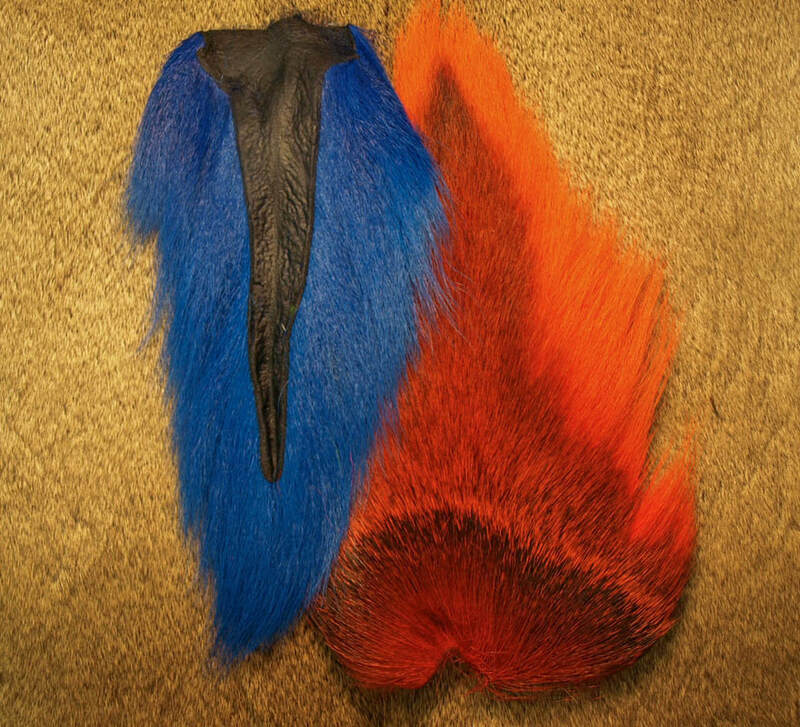 Here is listed all of the natural tails that we carry for wings and streamers. 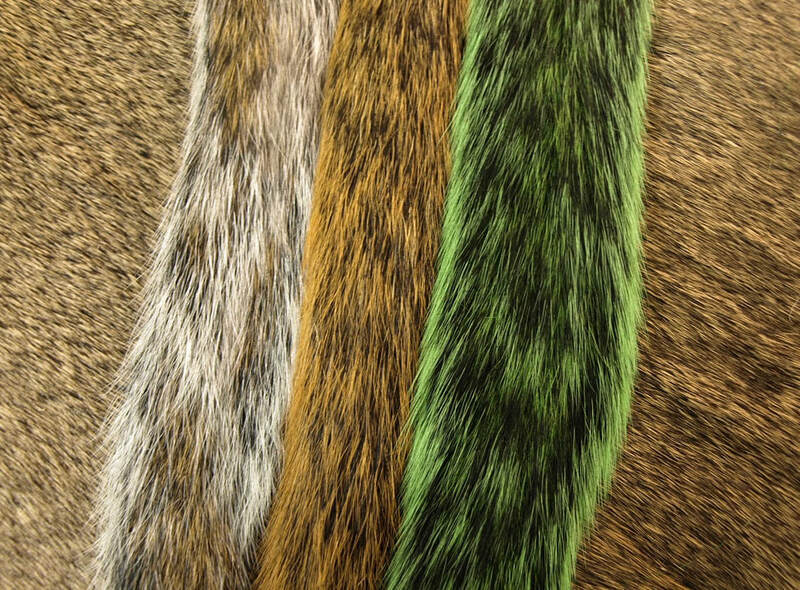 Our tails are graded for size and average 10 to 12 inches long. We check for hair length as well, with hair ranging from 3 inches up to 6 inches. These are nice, clean tails, with bright, crisp colors. Calf tails are very popular for short wings on spey classic steelhead flies and salt patterns. 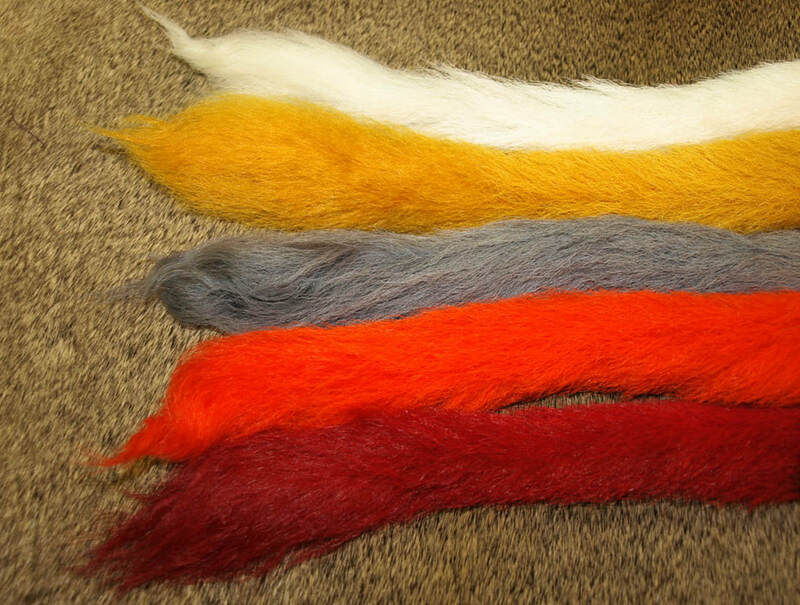 With a large color selection you can tie any style of skunk, or crazy charlie you desire. Calf tail does have some kink to it. Squirrel tails are a nice addition to any fly tying selection. With their natural barring in the hair, you really get a variety of styles to your tying. This is finer hair that has all the same uses as calf tail, but with its very own variegated style.